Boat-based anglers dropped lines from June 1 to 15; season will re-open July 1. STATEWIDE — The state continued to manage this year’s recreational Pacific halibut fishery in spurts as boat-based anglers were allowed to fish for the flatfish species, June 1-15. It was the second two-week window for anglers to fish for halibut; the first open period was May 1-15. A federal quota is currently in place for recreational halibut anglers. This year’s halibut catch limit is 29,640 net pounds. California’s Department of Fish and Wildlife (DFW) projected about 4,011 net pounds of halibut in May. 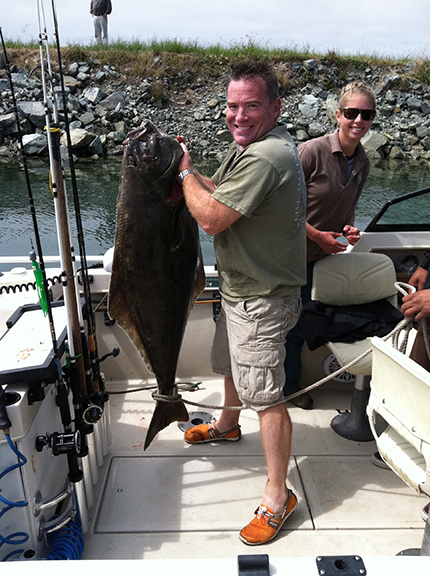 The state restricts how a halibut can be caught and taken. Anglers can only use one line with two hooks when fishing for halibut; harpoons, gaffs or nets could only be used to assist taking a legally caught halibut out of the water. 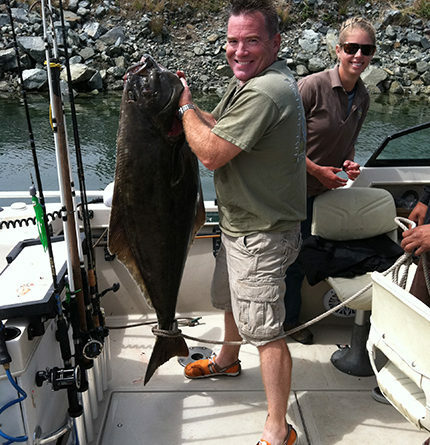 Anglers will be able to fish for halibut again beginning July 1 for the third open season of the year and continue through July 15. The recreational halibut season will continue during the first 15 days of August and then for eight consecutive weeks beginning Sept. 1, assuming the 29,640-pound quota is not reached before the 2016 fishery shuts down for good on Oct. 31. Visit bit.ly/1TXJgoQ or call DFW’s recreational groundfish regulations hotline at 831-649-2801 for up-to-date information on fishery closures or other notifications. Anglers can also call the National Marine Fishery Service Halibut Hotline at 800-662-9825 for information. The state has managed the Pacific halibut fishery since the 1950s. “During the early 1900s, the commercial Pacific halibut fishery in California was substantial; hundreds of thousands of pounds were landed from San Francisco to Eureka. By the late 1950s however, the coastwide fishery (Alaska to California) was over capacity and management measures were taken to reduce fishing pressure,” the state’s webpage on the halibut fishery stated. “By today’s measure, the commercial fishery in California has been reduced to a minimal allowance of take due to regulatory constraints. Conversely … fishing for Pacific halibut has rarely contributed to substantial removals from the fishery until recently,” DFW officials continued. California’s average annual estimated recreational catch of Pacific halibut was 28,500 net pounds.